Feature Friday: Meet Yukti A. 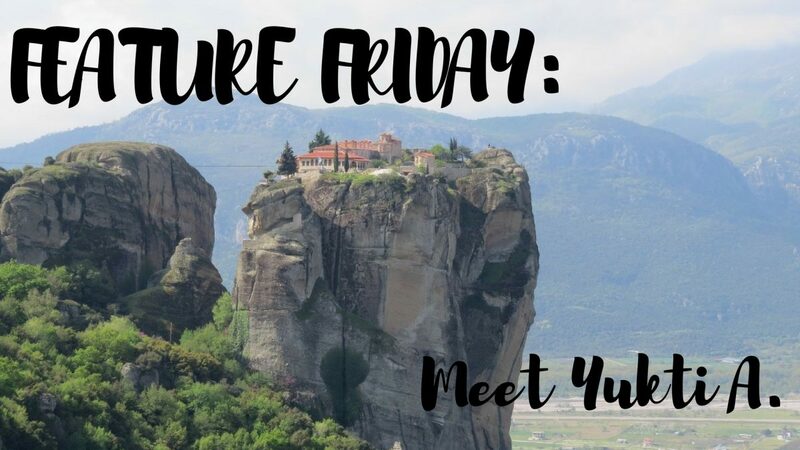 Author LarissaPosted on June 2, 2017 September 4, 2017 Categories Feature FridayTags Athens, Delphi, Feature Friday, Greece, Guest, Interview, Meteora, Mykonos, Santorini, Travel Blog, Travel Blogger, Traveller, Wander, Wanderer, Wanderlust18 Comments on Feature Friday: Meet Yukti A. Feature Friday: Meet Jill B. Reading is a way of travelling when you can’t physically go somewhere else. Come learn about Jill, her blogging journey, and how she combines the two! 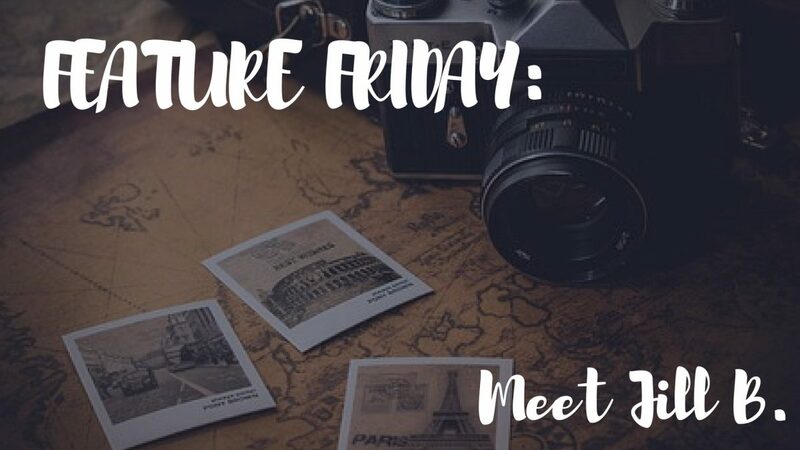 Author LarissaPosted on May 26, 2017 September 4, 2017 Categories Feature FridayTags Feature Friday, Guest, Interview, Travel Blog, Travel Blogger, Travelling13 Comments on Feature Friday: Meet Jill B. Feature Friday: Meet Marissa C.
Most people in the U.S. take cruises to either the Eastern or Western Caribbean, or to Alaska. Marissa and her family decided to go on a European cruise. Come find out what countries they stopped at, and what she thought about her trip! Marissa and I go way back to my freshmen year of college. We met through swimming, as we were both on the swim team, and we hit it off immediately. We are similar in so many ways, we found it hilarious. After discovering the many ways, we concluded that we must have been separated at birth, and we even convinced someone that we were twins. One of the many things we share is our passion for travelling! Marissa has travelled to all sorts of places via car, plane, train, and boat. Her most recent trip was on a cruise. Come see what she has say! 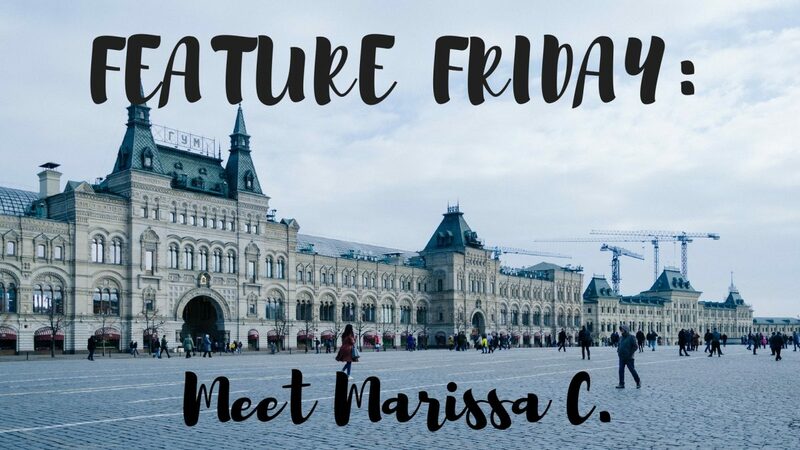 Author LarissaPosted on May 19, 2017 September 4, 2017 Categories Feature FridayTags Cruise, Feature Friday, Guest, Interview, Scandinavia, Travel Blog, Travel Blogger, Traveller, Travelling, Wander, Wanderlust22 Comments on Feature Friday: Meet Marissa C.
In honor of Mother’s Day this Sunday, this Feature Friday showcases the different ways moms are celebrated around the world. What do you give someone who has given you everything? How do you celebrate someone who means the world to you? 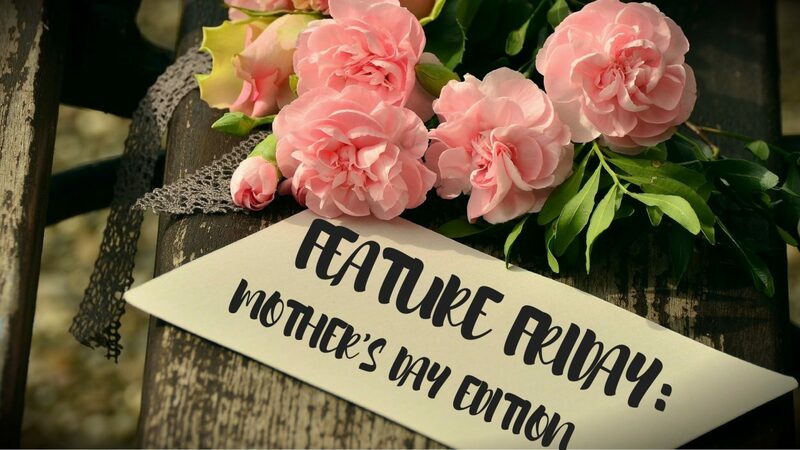 Mother’s Day is this Sunday in the United States – a day dedicated to appreciate the endless scarifies, the many laughs, the happy tears, the shared smiles, and the never ending love of these women. 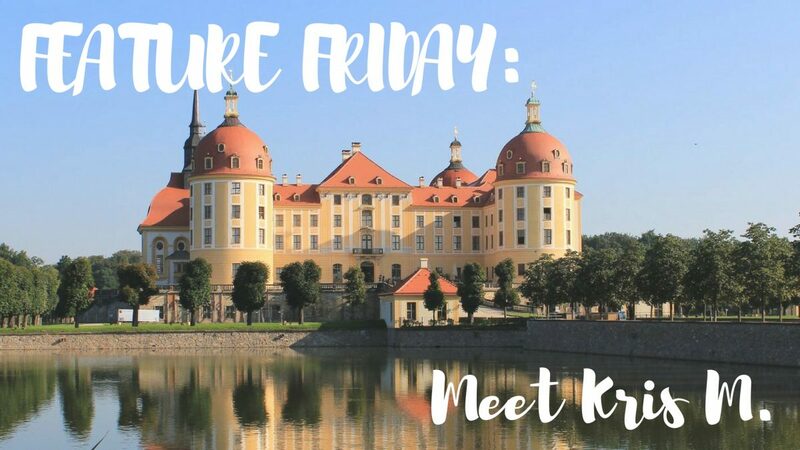 Feature Friday: Meet Kris M.
Come meet Kris, a professional nomad, as she shares some of her travel experiences! 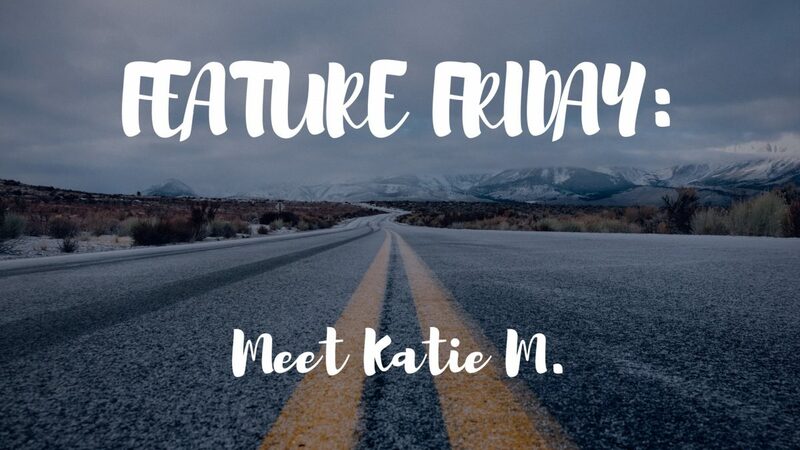 Author LarissaPosted on May 5, 2017 September 4, 2017 Categories Feature FridayTags Feature Friday, Guest, Interview, Life with Larissa, Travel Blog, Travel Blogger, Wan10 Comments on Feature Friday: Meet Kris M.
Feature Friday: Meet Katie M.
Come meet Katie, a fellow travel blogger! She’s sharing her thoughts on travel-related topics. 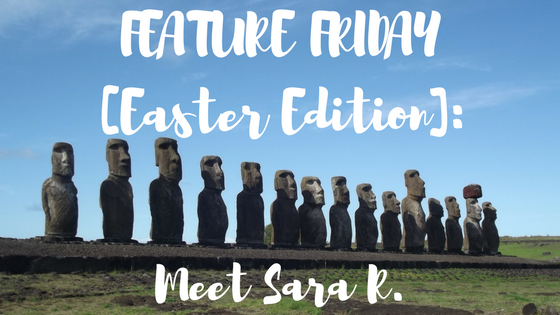 Author LarissaPosted on April 28, 2017 September 4, 2017 Categories Feature FridayTags Feature Friday, Guest, Interview, Life with Larissa, Travel Blog, Travel Blogger, Travelling14 Comments on Feature Friday: Meet Katie M.
Feature Friday: Meet Alice R.
Being a student is hard. Being an international student is harder. Come learn about Alice’s college journey in the U.S. 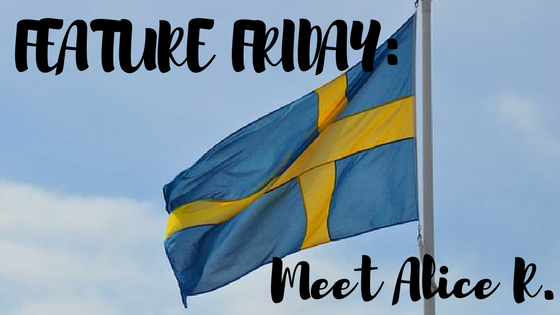 Author LarissaPosted on April 21, 2017 September 4, 2017 Categories Feature FridayTags Compare, Contrast, Feature Friday, Guest, International Student, Life with Larissa, Student, Sweden, Swedish, Travel Blog, travel life, Traveller, Travelling23 Comments on Feature Friday: Meet Alice R.
Feature Friday: Meet Courtney P.
What’s better than a Disney fanatic going to Disney? What about a Disney fanatic working at Disney?! Come learn about the DCP, professional internships, and behind-the-scenes of a Disney employee! 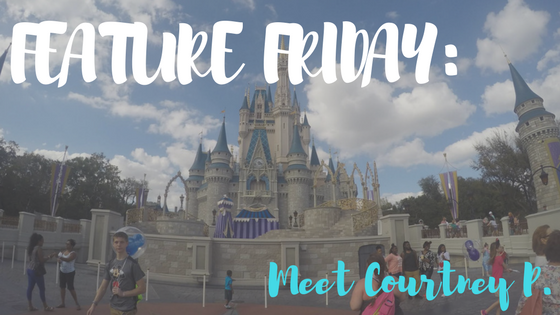 Author LarissaPosted on April 7, 2017 September 4, 2017 Categories Feature FridayTags Disney World, Feature Friday, Florida, fun, Guest, Interview, Life with Larissa, OrlandoLeave a comment on Feature Friday: Meet Courtney P.
Feature Friday: Meet Althea A.
Let’s take a journey with Althea as she recounts her time in Dubai and Italy! 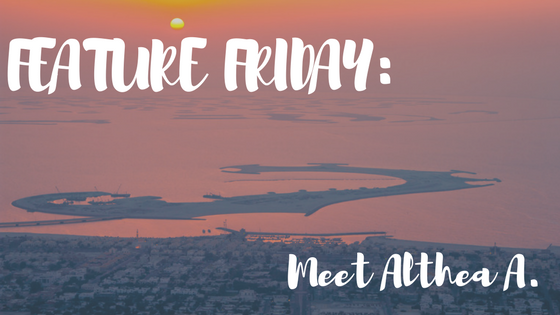 Author LarissaPosted on March 31, 2017 September 4, 2017 Categories Feature FridayTags Adventure, Dubai, Egypt, Explore, Feature Friday, Guest, Interview, Italy, Travel Blog, travel life, Traveler, Traveller, Travelling, Wanderlust, wanderlust lifeLeave a comment on Feature Friday: Meet Althea A.